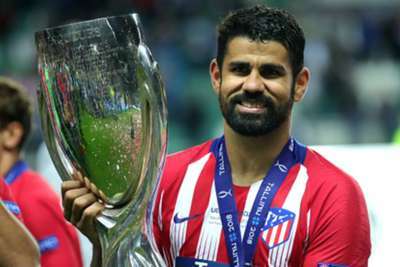 Diego Costa insisted Atletico Madrid are capable of defeating anyone with their desire and courage after upstaging Real Madrid in the UEFA Super Cup. A brace from Costa saw Atletico to a 4-2 extra-time victory against Champions League holders and city rivals Madrid in Tallinn on Wednesday. Costa scored the fastest ever Super Cup goal after just 49 seconds in sensational fashion midweek before Karim Benzema equalised 26 minutes later and Sergio Ramos' penalty put Madrid ahead with 29 minutes remaining in the Estonian capital. Europa League champions Atletico, however, were not done as Costa struck again 16 minutes later to force extra time, where Saul Niguez's stunner and Koke's sealer clinched a seventh title for head coach Diego Simeone. Speaking afterwards, Spain international striker Costa said: "With the desire and the 'cojones' that we have, we can fight against any team. "It was a victory that we had been looking for a long time, I am very happy." 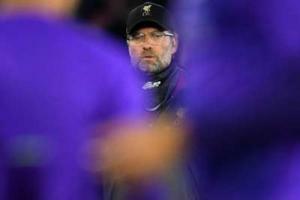 "They won two finals against us, we wanted to win a European final against them," he continued. "It was very important to get confidence ahead of the season." and assist. Ladies and gentlemen, your #SuperCup Man of the Match! Atletico look well-equipped to win their first LaLiga title since 2014, having signed Thomas Lemar, Rodri, Gelson Martins, Nikola Kalinic, Santiago Arias, Jonny and Antonio Adan. Their biggest off-season success, however, was keeping hold of star forward and World Cup winner Antoine Griezmann amid interest from LaLiga champions Barcelona. "Atletico have always had an ambitious project, we can get anywhere with work, humility," Costa added. "We can fight with any team, we have signed very strong and I hope we keep growing." Costa and Madrid captain Ramos were involved in a tense battle throughout the contest in Tallinn – the Spain team-mates putting their international relationship aside. Neither Costa nor Ramos took a backward step as the pair collided on more than one occasion, but the former played down the rivalry. "Everybody knows the admiration I have for Ramos, he has shown year after year how good he is," Costa said. "When I came to the national Team he helped me. "I respect him… but in the field everyone fights. I want to win and what happens inside the field remains in the field." Goalscorer Koke, meanwhile, added: "It has been a spectacular match. If we fight as a group we get things."